‘We are ready to offer the project of the transfer of fresh water from the Altai region of Russia through Kazakhstan to arid Xinjiang Uygur Autonomous Region of China,’ said the minister. In the near future we will hold consultations with our colleagues from Kazakhstan on this issue.’ He said the plan could be implemented without any damage to ecology. Tkachev said that Russia can spare from 70 to 1000 million cubic meters a year. The key to the Tkachev’s masterplan – unveiled at a meeting with Chinese Minister of Agriculture Han Changfu – is utilizing the Gilevsky reservoir in Altai region, in operation since 1979, and the Kulundinsky ‘channel’ built in the decade to 1983. However real initial source for both systems is Ob River, which 30 yeas ago was saved from infamous “Perebroska -North-South Water Transfer”. There are warnings that the new scheme would deprive the Ob River – the seventh longest in the world – of water when navigation has already faced problems in recent years. 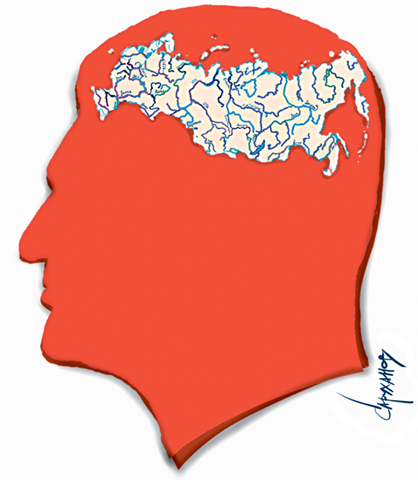 Viktor Danilov-Danilyan, an economist, environmentalist and member of the Russian Academy of Sciences, warned: ‘To declare the global plans of the transfer of fresh water to China, without detailed calculations, is total folly. Gennady Baryshnikov, deputy head of the natural resources and geo-ecology department at Altai State University, said it was vital to consult citizens and experts on such a scheme. ‘If we are offered such project, there must be public and scientific hearings,’ he said. ‘This project is impossible to implement without the opinion of the scientific community of the Altai region. Tkachev’s words were a complete surprise for us. ‘So far, I cannot imagine how it can be done. It can affect the interests of different countries – the water should be carried through Kazakhstan to China, but China gets large volumes of water for its cotton fields from the Black Irtysh River, which flows through Kazakhstan , he told to the Siberian Times. – First of all this plan is complete geographic nonsense. Just look at the map. The area in question is separated from Xinjiang by….Irtysh River. 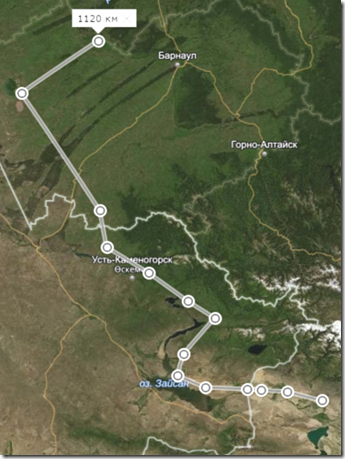 So if we do not think about building a canal across the Irtysh river the only remaining option is 1120 kilometer-long “counter-Irtysh” that pushes water half a kilometer uphill to the nearest valley in China that might need water for irrigation. – Secondly it is economic nonsense – the Minister of Agriculture should be concerned with development of food products to export to China, and he proposes to give water to competitors instead. However there is a third dimension and it is dangerous one. China is already diverting several cubic kilometers from Black Irtysh River in Xinjiang and refuses to negotiate the water management issue with downstream Russia and Kazakhstan in trilateral format. Given current policies of the Silk Road Strategy of China, it may suggest to collaborate on a much shorter canal from Ob to Irtysh River to employ its hungry hydro engineering companies and to help Russia and Kazakhstan to “compensate” lack of water resources caused by ever growing withdrawals upstream in China.